Netgear announced their latest in Wi-Fi routers this week at the CE Week New York Event with the Nighthawk X6 AC3200 Tri-Band Wi-Fi Router. Aside from the cool new Batman-like appearance, the router features 3 bands and increased speeds, but the tri-band isn’t really an extension of the dual-frequency routers we’ve seen, as one might initially think. 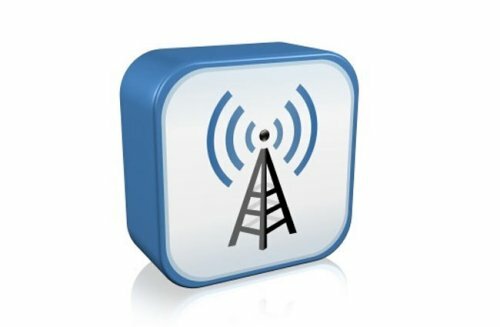 The Nighthawk provides one 2.4GHz band and two 5GHz bands, where the 5GHz is actually provided as two separate bands. Newer, faster devices can connect on a higher-speed while older, slower devices can use a slower band and not interfere with others allowing the router to deliver higher speeds. Netgear states the router can deliver up to 3.2 Gbs if you combine all three bands. That would likely be in perfect conditions and circumstances, however the potential is there. WiFi-only Dell Streak 7 coming soon? If you were waiting for Dell to release a WiFi-only version of the Dell Streak 7, it looks like you are in luck. The guys over at StreakSmart have discovered a WiFi-only mobile device from Dell that received WiFi certification from the WiFi Alliance. The device is model number M02M002, which syncs up with the 3G + WiFi Dell Streak 7′s model number M02M. Since the device has been certified to be single-mode WiFi-only, this can only be a WiFi-only version of the Dell Streak 7. Dell had never officially announced that they were going to launch one, so this is a nice surprise. The device was even spotted on Amazon up for pre-order at $379.99, though we don’t have any ship dates. Researchers at Stanford University have discovered a way to create two way communication over the same radio frequency. This is big news since it could lead to doubling Wi-Fi and mobile phone network speeds. That’s something we can all appreciate. The new research makes us completely rethink how wireless networks can be designed. Unlike radio it has the ability to receive and transmit at the same time, so it can mimic the way humans screen out the sound of our own voices during a conversation. It uses two transmitters in the hardware at both ends of the conversation, with the two transmitters working in a similar way to noise-cancelling headphones. Taxis in Tokyo are among the most expensive in the world. But now NTT DoCoMo is planning to add value to the taxis by offering free Wi-Fi. 820 vehicles to be exact. Though I doubt your taxi will be surrounded by beautiful babes like in this picture. Also about 100 of the taxis will get PSP’s to keep customers distracted from the meter as much as possible. The service is in testing phase now and will roll out fully by March 2011. This WiFi Antenna Booster looks like it is lit up to announce a blue-light special. Just attach it to your router and it will boost your networking signal exponentially in every way possible. There’s no need for software installation or reconfiguration. 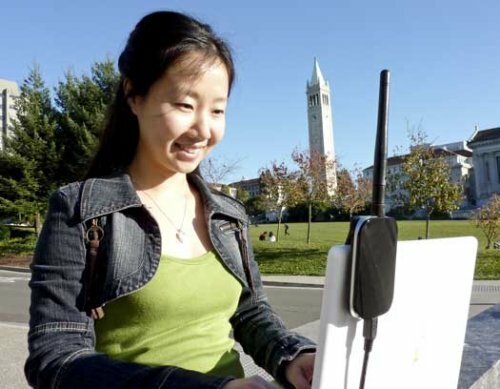 The Signal Boosting Wi-Fi Antenna comes equipped with a flexible gooseneck that positions the antenna in an upright position for optimal signal reception. Yes, it looks dorky, but if it does what it promises, who cares? 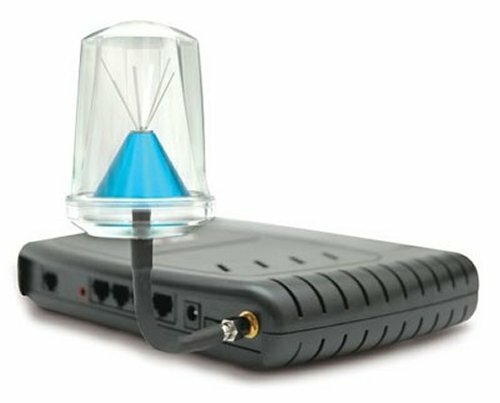 You can purchase the Signal Boosting Wi-Fi Antenna for only $59.95. Tree-huggers won’t like this news. Results from a preliminary study by DU Delft University, Wageningen University, and other institutions in the Netherlands show that WiFi radiation may be harmful to trees. The study found that WiFi radiation may cause bleeding and fissures in tree bark, which were not caused by any virus or bacteria. 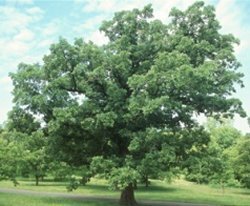 According to their data, 70% of trees in urban spaces are now showing signs of damage compared to just 10% five years ago. Trees located the closest to WiFi radiation exhibited a lead-like shine on the leaves and death of the leaves’ lower and upper epidermises. Radiation from WiFi was also found to inhibit the growth of corn cobs. Delta Airlines has just announced free in-flight Internet access on all of its Wi-Fi equipped flights during the upcoming holiday season. This free Internet access will begin on November 20, 2010 and last all the way through January 2, 2011. It is offered with Gogo Inflight, Google and the Google Chrome Web browser, although you don’t need to stick to Google products to go online. You just need to join the gogoinflight wireless network and hit the airborne.gogoinflight.com Web site while in the air. If you spend much time in a FedEx office, we have some good news. FedEx has announced that it’s offering free Wi-Fi access to about 1,000 of its FedEx Office Print & Ship Center locations around the US. It will be powered by AT&T and will be arriving in its other stores by the end of October, bringing the total number of locations that offer free Wi-Fi closer to 1,600 in all. That includes former Kinkos stores, which FedEx recently took over. The idea is to draw in extra business customers who need to keep working while they’re shipping packages. 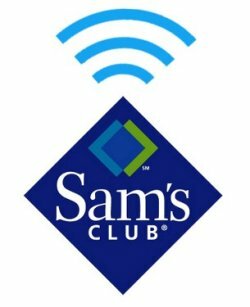 Soon when you hit Sam’s Club to stock up on toilet paper and fruit loops, you’ll also be able to get free internet. That’s because Sam’s Club is working with AT&T to add free WiFi to all its US stores by November. The store will also enable connectivity for its IPTVs so customers can view Web applications like Facebook and Pandora on big-screen TVs before they decide to buy. Sam’s Club is also planning a smart phone app that will include access to discounts, product information and user reviews. 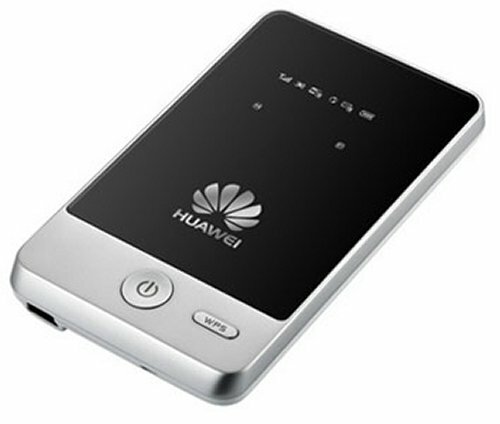 Huawei recently introduced its latest mobile hotspot, the E583c. This device is good looking in a silver and black color scheme. It features a 1-inch color OLED display that shows the status information you need. The Huawei E583 Mobile Hotspot supports a 3.5G HSPA connection with up to five devices over Wi-Fi and a sixth via direct USB connection. It plays nice with Microsoft Windows, Mac and Linux platforms. Another feature is the included microSD card slot (up to 32GB). Six station platforms near 14th Street will be wired for WiFi and cellular service, despite delays and a $900 million dollar deficit. It’s part of a longstanding initiative by the NYC Transit Authority. Plans for passengers to receive calls and check their email between stops have been underway for two years, but a huge $200 million contract with Australian firm Transit Wireless LLC is making it happen finally. 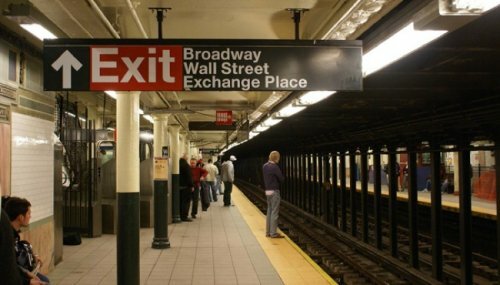 After the stations near 14 Street, Transit Wireless has four years to bring the rest of New York’s subway system into the digital age. The coffee peddling behemoth Starbucks announced today that it will not be outdone by independent coffee houses nor other national chains and will begin offering unlimited free WiFi to it’s customers. Starbucks has had WiFi available for some time now, for a fee, and has most recently offered 2 free hours per day to cardholders but now is giving the service away to all. This announcement no doubt will come as great news to frequenters of the coffee houses and bad news to anyone trying to sell WiFi within the vicinity. 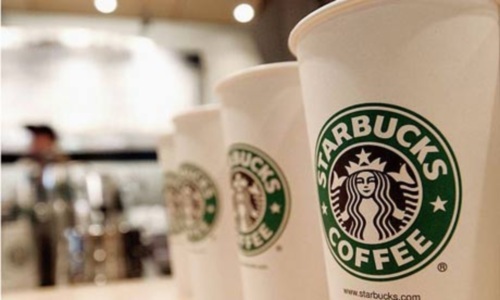 Please note however that the free service is only for Starbucks stores operated directly by the corporation, and not to licensed locations commonly found in airports or grocery stores. 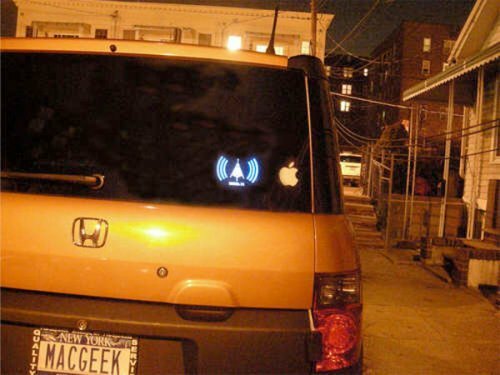 This Wi-Fi detecting bumper sticker will let you and other drivers know instantly when Wi-Fi is available. That way you can quickly set up your laptop on your steering wheel and tell everyone on Twitter about it. Want to create one yourself and distract drivers behind you? Instructables shows you how. And it’s pretty simple. Basically you will be buying one of those Wi-Fi T-shirts, and then cutting out the electroluminescent panel to stick onto the back of your car. Simple. Pretty nifty. McDonalds isn’t just expanding stomachs across the nation, they have also expanded their free Wi-Fi to 11,500 new locations starting last Friday. So it’s finally here free Wi-Fi fans. It used to cost $2.95 for two hours. McDonald’s even offers an easy lookup site, letting you know if the wireless connectivity is available in your area. Hey, it’s free, there are fries and burgers and if you’re lucky maybe you run into Grimace or the Hamburglar while you are tweeting away. The BearExtender n3 has a few advantages over other WiFi extenders. It’s cheap, it works great, and most important of all, it’s legal. This external WiFi adapter for Macs costs just $45 and was developed by Rolan Saekow, a Berkeley grad who wanted access to the campus “Airbears” network from wherever he happened to be. Looks like it works great too. TUAW’s testing yielded stronger signals and higher throughput when they used the BearExtender over internal WiFi. The downside, if you consider it a downside, is that the BearExtender runs only on the 2.4GHz band. It doesn’t give you the option of a 5Ghz 802.11n network.